So I’ve missed soup terribly in the 18 months since my angioplasty. My wife has tried making some with only vegetables, but it didn’t really taste all that inviting to me. 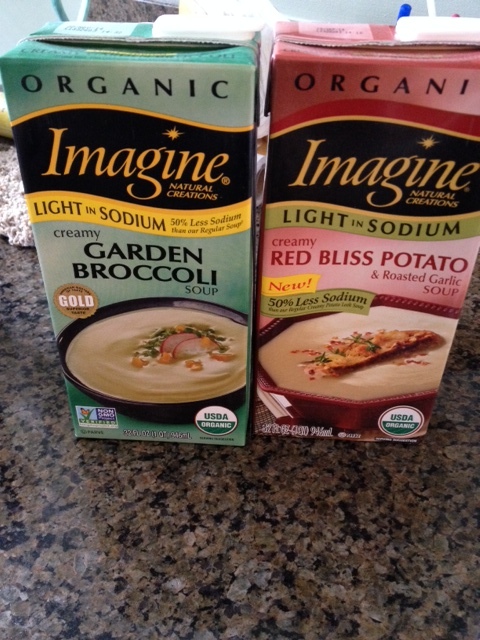 So I was excited to see some soups at my local Jewel recently calling themselves “light in sodium.” The soups, under the Imagine brand and made by Hain Celestial Group, an organic processor, even came in interesting flavors like garden broccoli. I used to devour broccoli cheese soup but can’t now because of the sodium and the fat. So I was eager to try this one which has only 1.5 mgs of fat and 190 mgs of sodium a serving. Sad to say, it was boring tasting and watery. At only 70 calories a cup, at least it’s not fattening. But after my first try with it, the rest of the 32-ounce container has been sitting in my refrigerator as I wonder what I can do to give it more flavor. 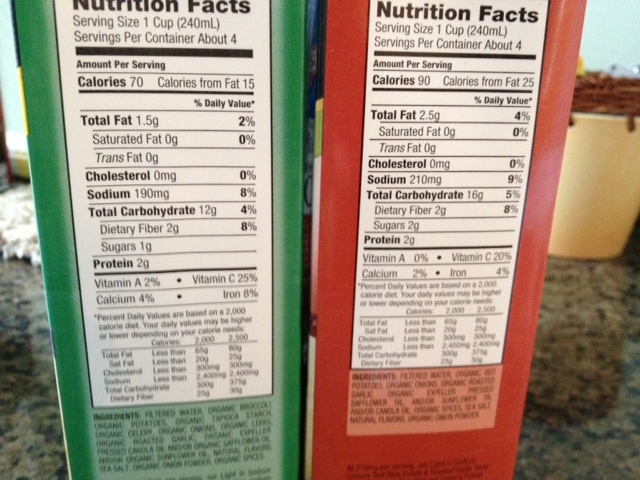 Imagine soups are low in sodium and fat, a rarity for any prepared soup. My advice about soup if you’re on a low-fat and low-salt diet? Forget it. Without fat and salt, it’s just water with some random things in it.